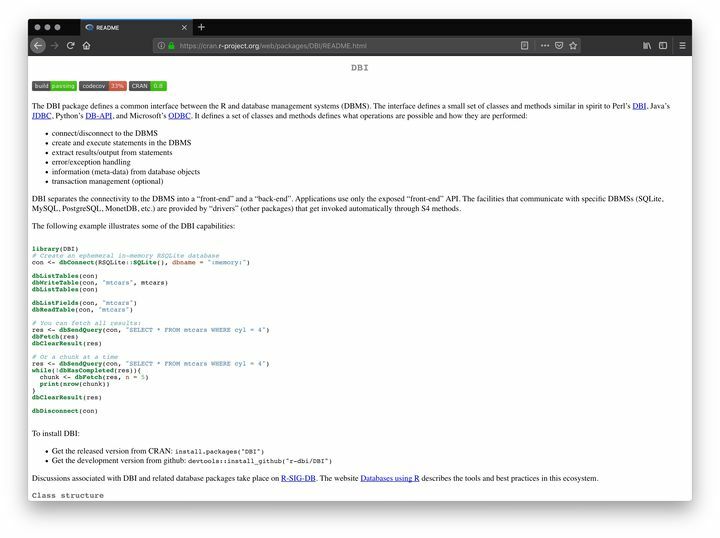 cynkra is enthusiastic about open source software and the R universe – and we contribute to it, too. Here's a selection of our freely available software and data products. 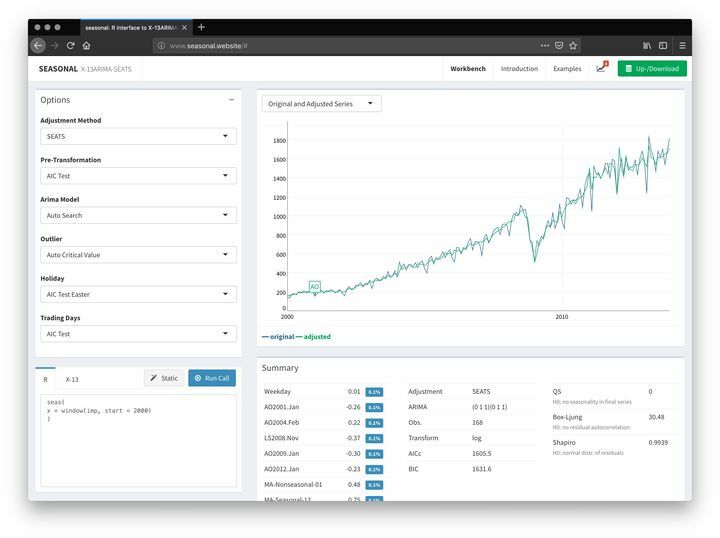 dataseries.org provides a structured collection of most of the relevant data series for Switzerland, automatically updated from various sources. You can export everything. Whatever you find interesting, you can download, as a graph or as a table. And you can import everything into R, using the new dataseries package. The DBI package separates the connectivity to the DBMS into a front-end and a back-end. 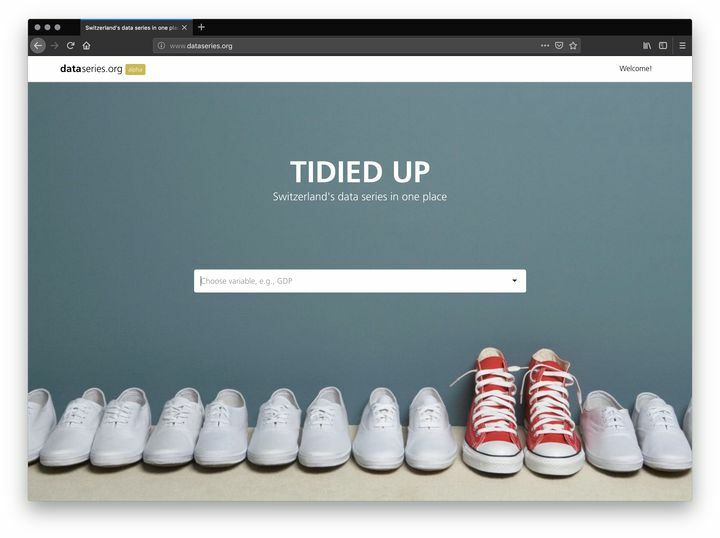 Applications use only the exposed “front-end” API. The facilities that communicate with specific DBMS (Oracle, PostgreSQL, etc.) are provided by “device drivers” that get invoked automatically by the S language evaluator. The “Improving DBI” project, funded by the R consortium, includes the definition and implementation of a testable specification for DBI and making RSQLite fully compliant to the new specification. travis + tic is a related project, whose goal is to simplify the setup of continuous integration with Travis CI. Apart from automating away a few button flips, it also provides an easy method to set up push access which can be then triggered (on Travis) by the companion package tic. 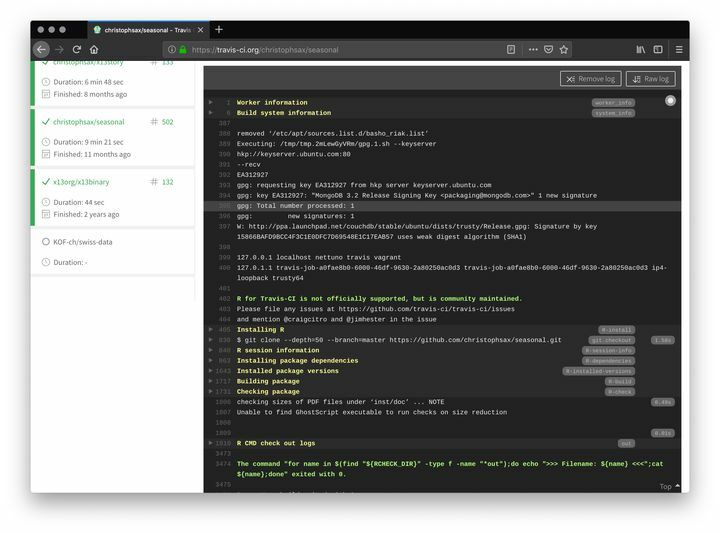 R + AppVeyor is a solution for continuous integration for R projects on Windows, using AppVeyor - a Continuous integration (CI) testing service similar to Travis-CI. Under the hood, r-travis is used to perform the testing; this works even on Windows thanks to MinGW and MSYS. 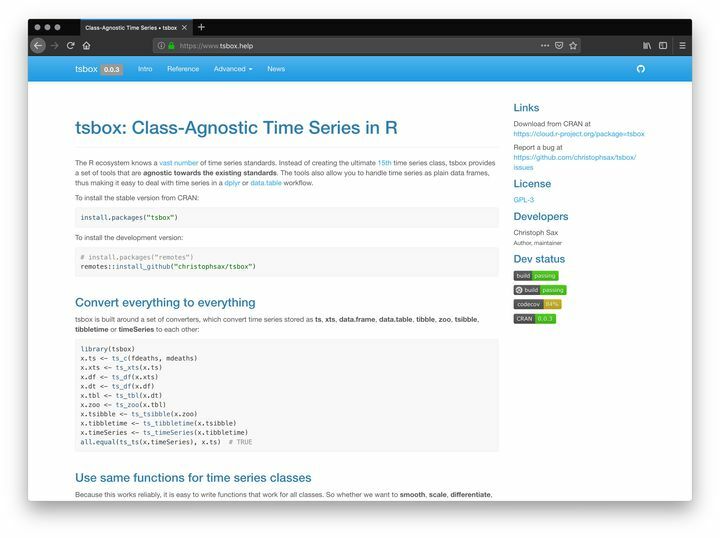 tsbox makes life with R’s time series classes easy.